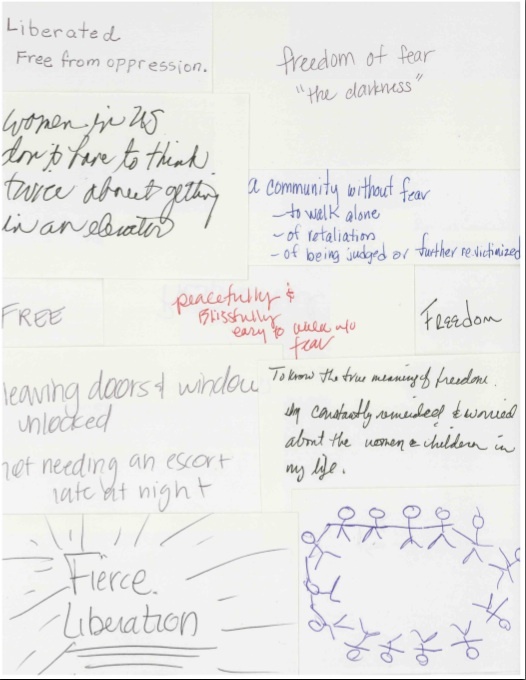 What is your vision of a world free of sexual violence? In a wonderful blog by Laura Fidler for the New York City Alliance Against Sexual Assault, she asks what is your vision for a nation free of sexual violence. Above are some of the responses from her workshop conducted at the National Sexual Assault Conference in Hoillywood in September. My vision is a world full of life-affirming art. What is your vision?